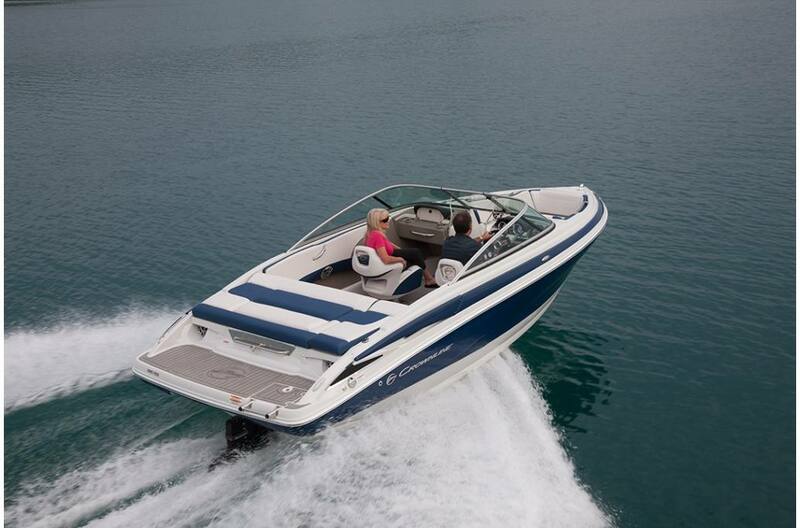 The Forte gelcoat (your choice of two colors) perfectly accentuates the sporty silhouette of this boat. 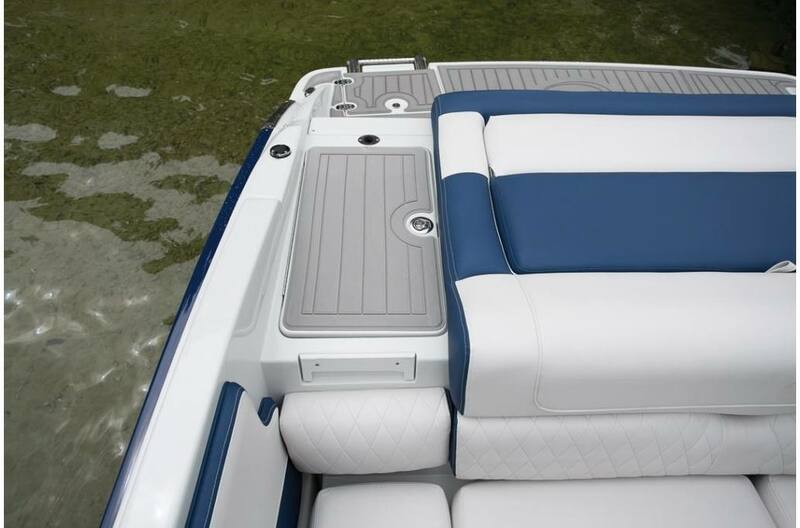 Its contours are further enhanced by Crownline's patented F.A.S.T. 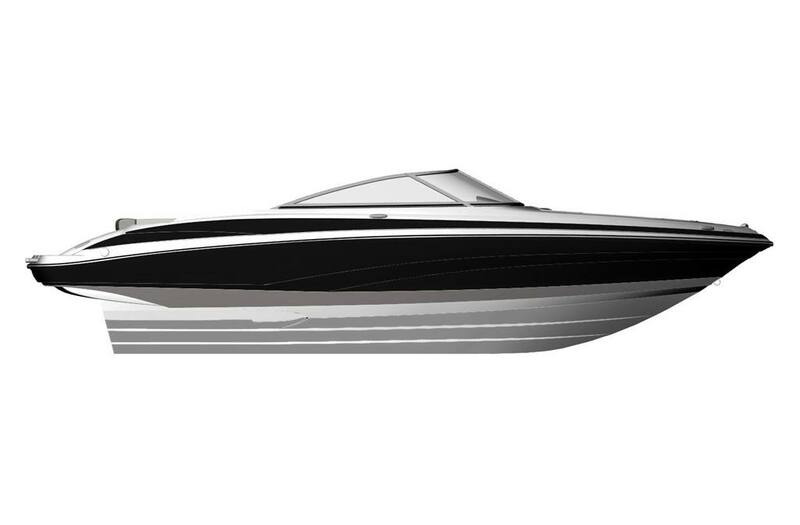 Tab® hull design which not only embraces the distinctive “sports car" styling of the 215 SS, but also ensures a safe and comfortable ride by increasing planning efficiency and stability in high speed turns. 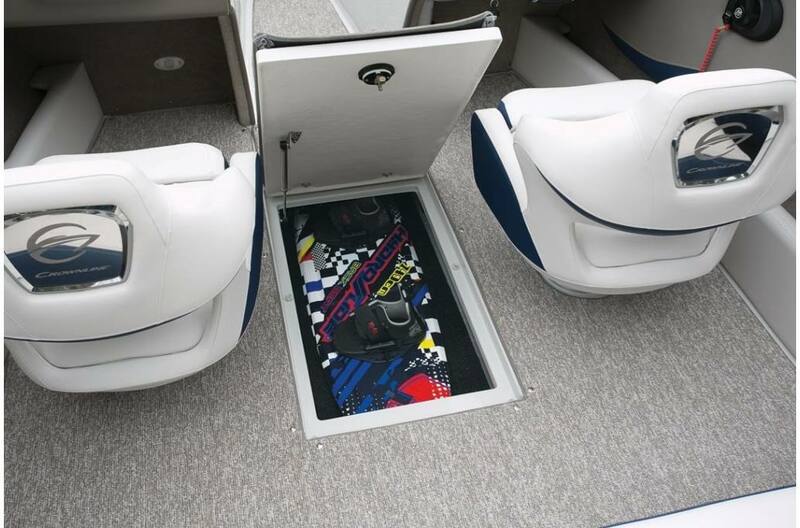 The transom walk through has a filler cushion to preserve the comfortable, full length sun bed area that is so important for relaxing and catching some rays. 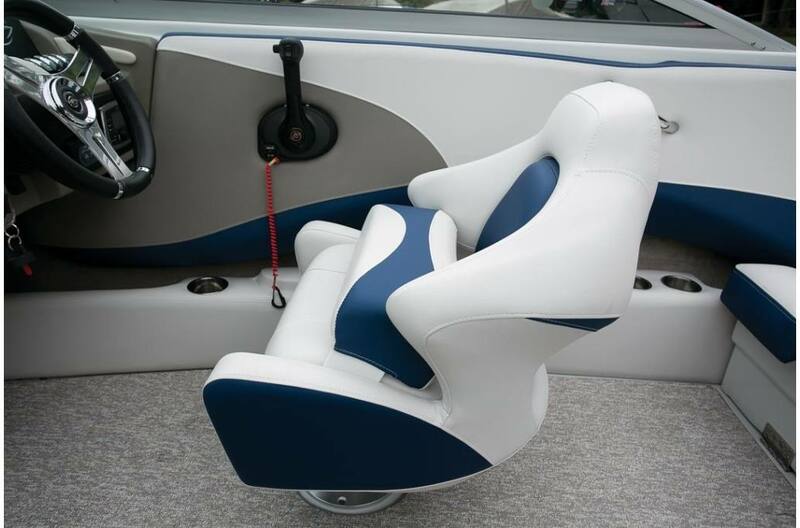 The super sport cockpit seating features driver and passenger bucket seats with flip-up bolsters. 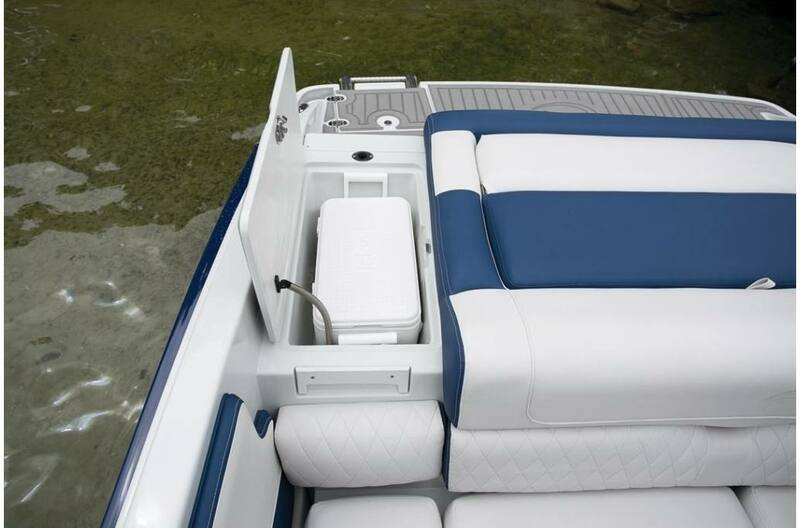 The rear bench seat is hinged to access the finished storage area beneath. 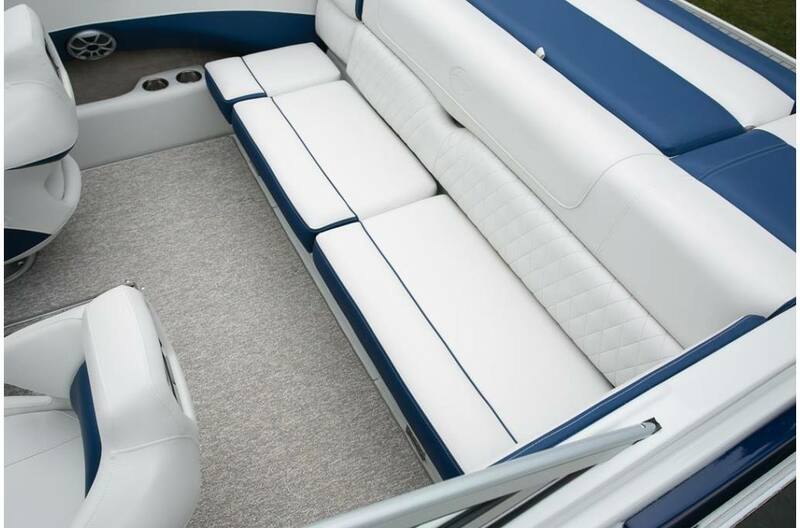 The deep hull design is really evident upon entering the spacious bow area. 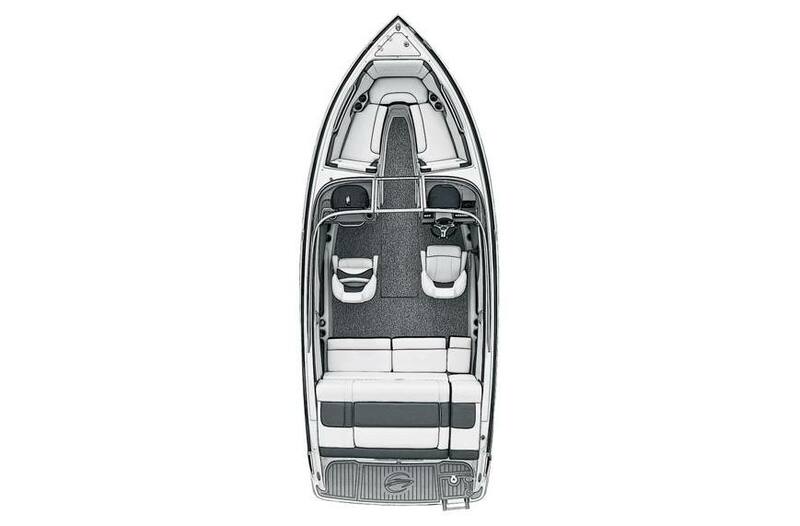 And the seating is exceptionally comfortable, with 16-degree lean backs, pillow top cushioning and STANDARD duty flip-up armrests. 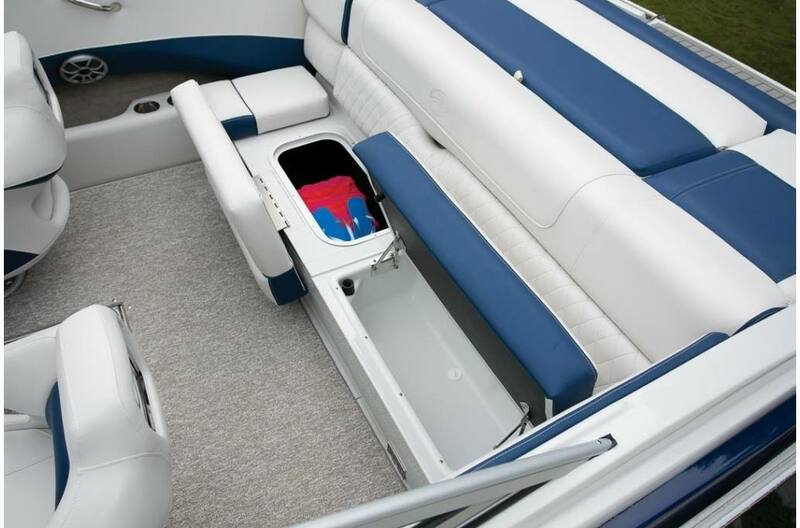 There's tons of storage throughout the boat - even for your wakeboards and skis! 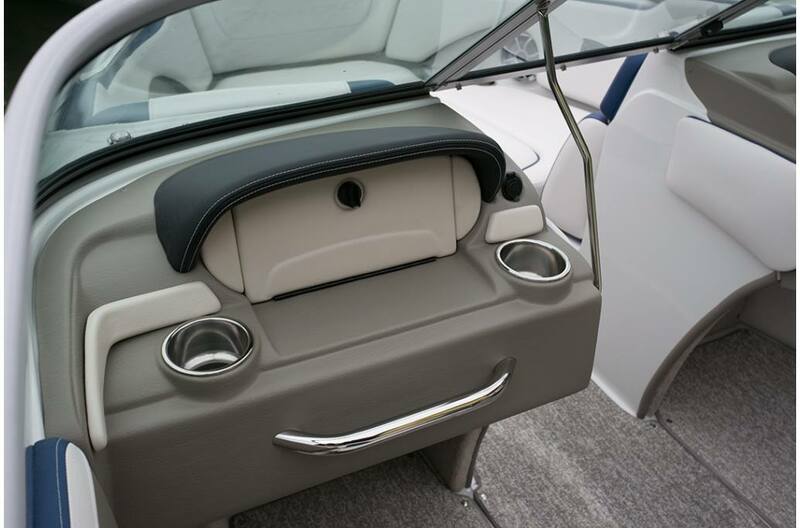 They stow away under the portside and starboard bow seats. 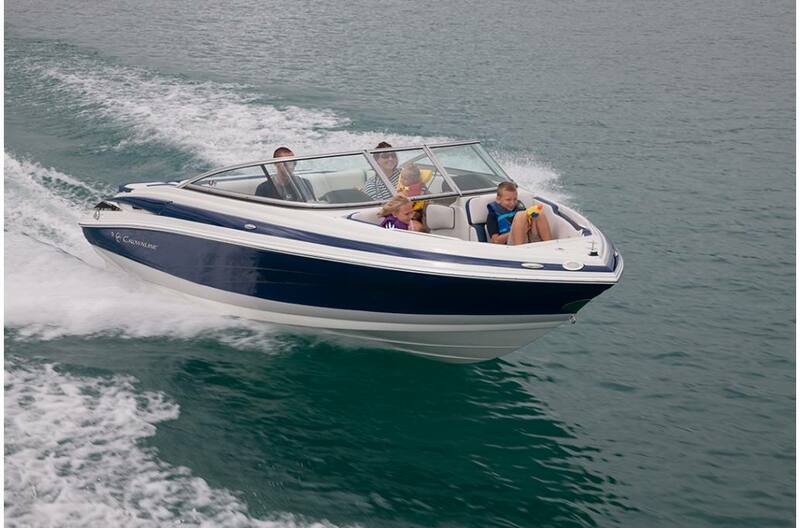 The 215 ss comes standard with a deluxe Heritage tandem axle trailer with a swing tongue and color matched to your boat! 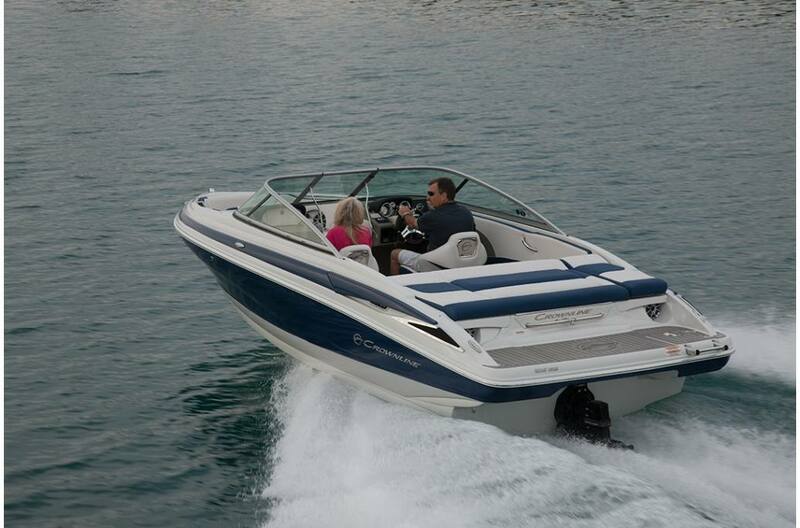 (Delete trailer option with credit is available through your dealer). And we haven't even talked about all of the standards….there's too many to list. Check out the long list below! 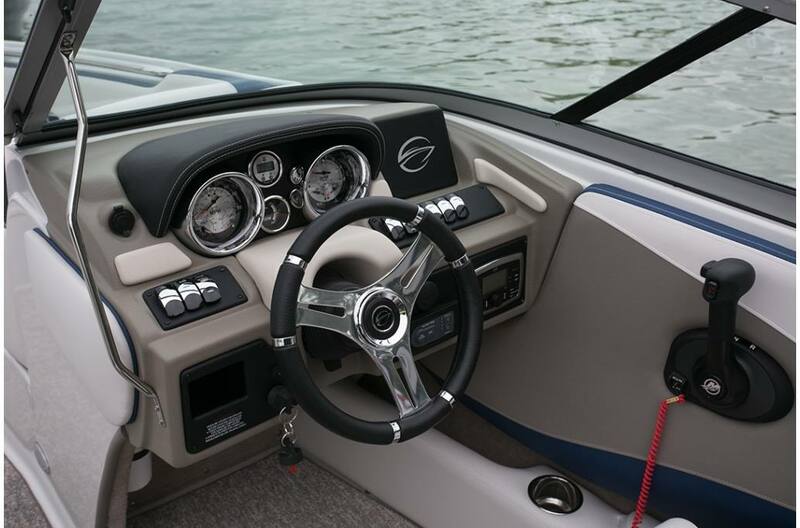 Raymarine A67 Touchscreen MFD With Engine Info.